Regular readers of my blog will know that I loved making anti gravity cakes. One of my most viewed posts is my easy chocolate pouring cake tutorial, and my Prosecco anti gravity cake is catching up fast! The reason I like making anti gravity cakes is that whilst looking impressive they are actually relatively simple to make. So you would think that I know all to know about gravity cakes and wouldn't need a book on it. Well I am pleased to say that Gravity Cakes! is full of ideas and inspiration that even someone who knows how to make these cakes will benefit from it. The book starts with the basics of baking a cake, leveling it and then covering it with a crumb coating followed by fondant. I have always used cake pop sticks in my cakes but they suggest hollow balloon sticks with wires. I can see that this would be much more stable in a larger structure and will give this a go in future bakes. They start off with the simple chocolate anti gravity cakes and pick n mix style ones and then move into harder and more impressive ones. For example cornflakes in a bowl of milk, a waffle being poured with sauce and a deep dish pizza. 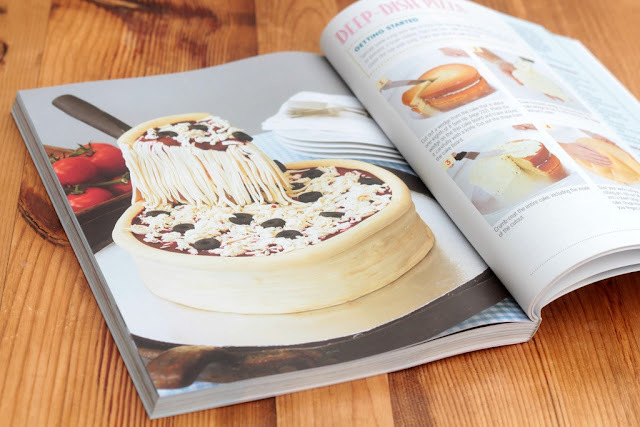 Some of the ideas are really clever and the hints and tips that you pick up can be used to personalise your own bakes. The use of clear mints to act as ice cubes in a cola cake is just fantastic. For someone who loves baking celebration cakes, this is a great book for inspiration. 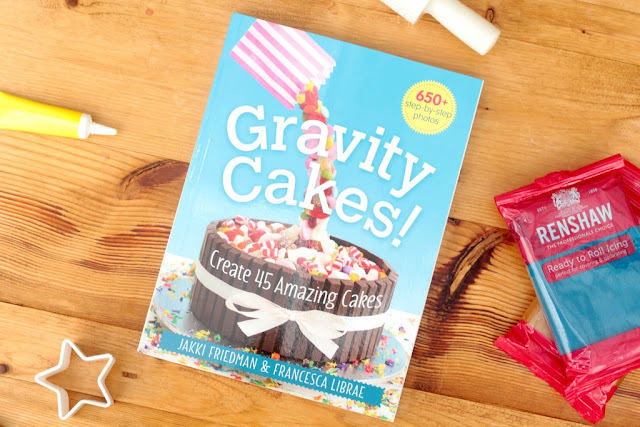 A beginner will be able to see that gravity cakes are actually easier to make than they look. I am excited to be able to offer two of my readers the chance to win a copy for themselves. Just complete the Gleam entry below. Good Luck! Gravity Cakes! If you love anti gravity cakes as much as I do, why not follow my Pinterest board which I often update with ideas. I just made one with magic stars, would love to get some more inspiration from this book. Wow these look fabulous I love the look of them all! Good luck everyone :) they look yum!